Observers and the public assumed the unnamed pair were GOP Reps. Chris Collins of New York and Hunter of San Diego’s East County. CNN reported that the Justice Department, which Sessions heads as U.S. attorney general, had no comment on a series of Trump tweets. San Diego journalists also noticed errors or pitfalls in the tweets. 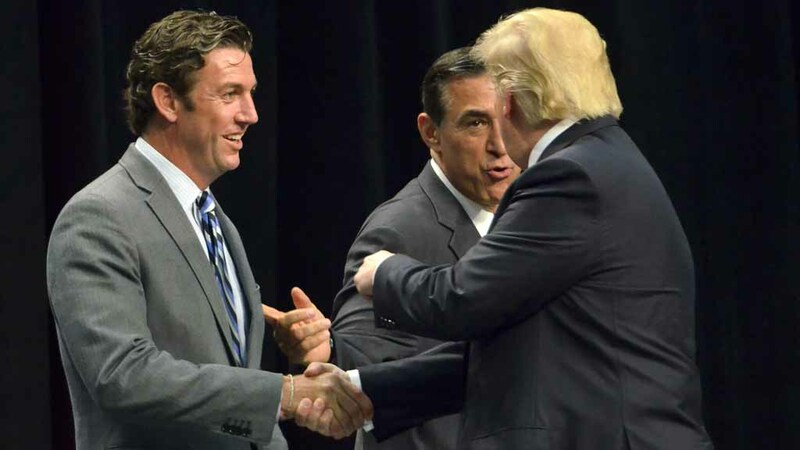 “I’m really surprised he didn’t put out a thoughtful legal defense of Rep_Hunter and instead made the case his DOJ should make decisions based on political priorities,” said Voice of San Diego editor in chief Scott Lewis. Despite Trump’s apparent concerns, Hunter is considered the favorite against Democratic challenger Ammar Campa-Najjar, based on recent polling and highly regarded analysis from The Cook Political Report. Hunter, who pleaded not guilty to 60 felony charges, has attacked interim U.S. Attorney Adam Braverman in San Diego for the investigation of his spending but hasn’t explicitly faulted Sessions. Michael Smolens, political columnist for The San Diego Union-Tribune, noted the absence of Sessions from Hunter’s critique of a “deep state” and Democratic conspiracy against him.